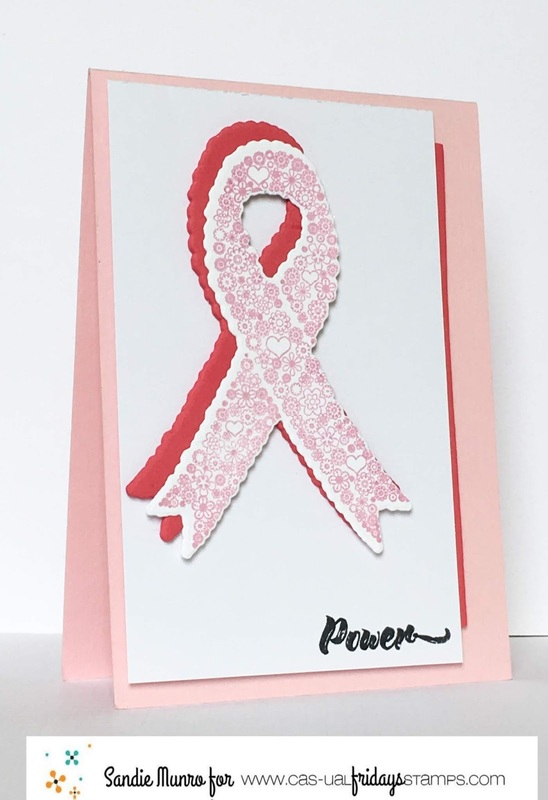 I am here today as part of the Calling All Sistahs design team, to help raise awareness of Breast Cancer and the importance of doing that monthly self breast exam. It takes 5 mins-check out how to do that here. 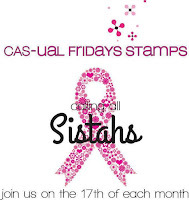 Michele, owner and designer of CAS-ual Friday Stamps designed a special line of stamps and dies to help raise awareness of Breast Cancer-you can check them out here. 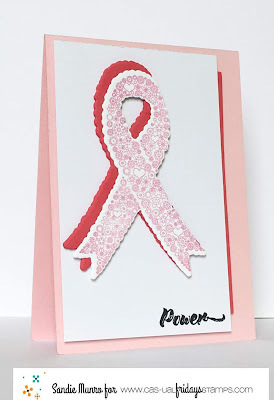 Michele donates 50% of the profit from these to National Breast Cancer Awareness. All our Design Team have made amazing cards-check them out here. We would love you to go shopping from this range to help us raise awareness of Breast Cancer and if you do and use the code 'cas comfort' you get a discount! 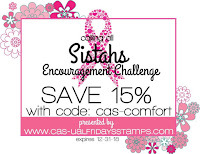 Come back tomorrow as I will be here with our monthly 'Calling All Sistahs' challenge!! Have a super day and don't forget to put 5 mins aside to do that self exam! Thank you for sharing this beautiful reminder, Sandie! I'm so glad you are a part of the Encouragement Squad! I like the shadowing effect of the image and panel, pretty in pink. I love the way you shadowed the hope ribbon! You made a beautiful reminder card!